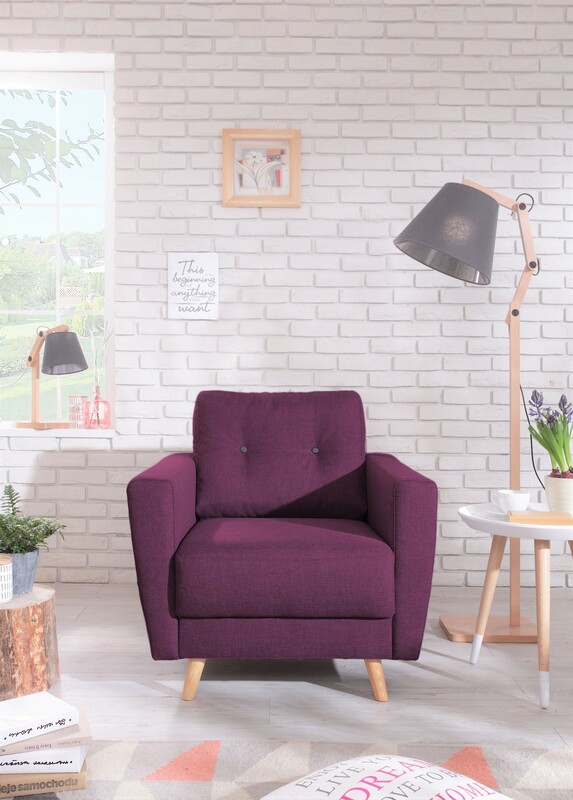 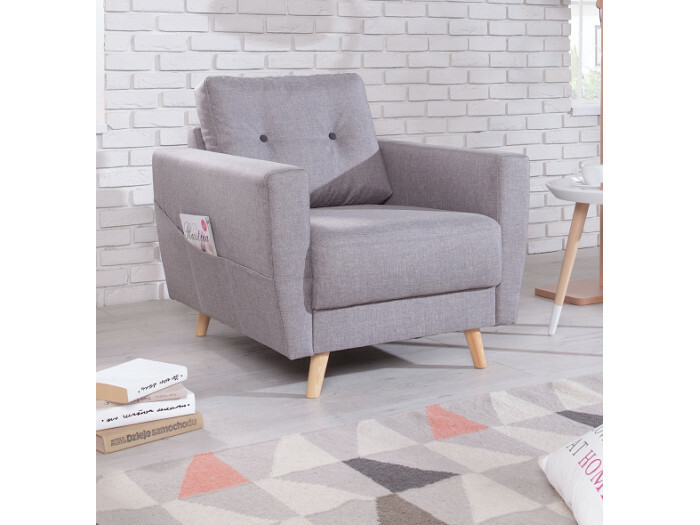 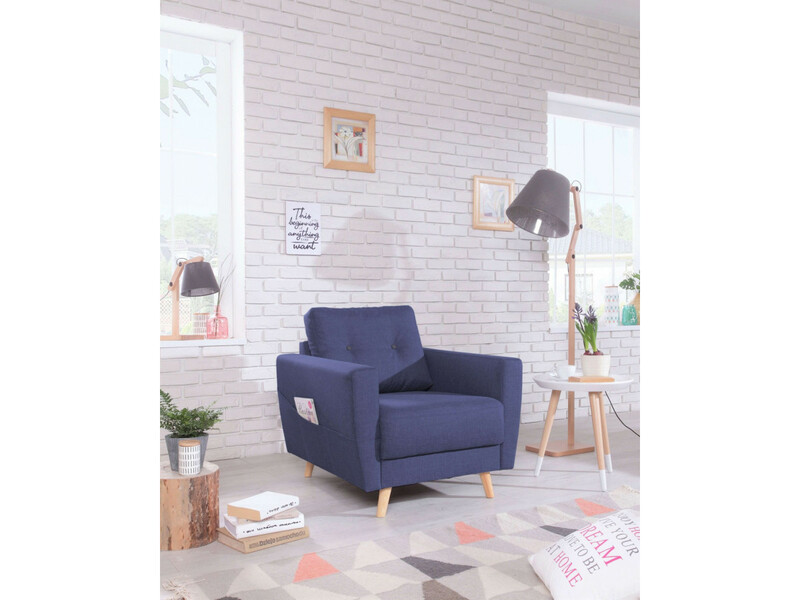 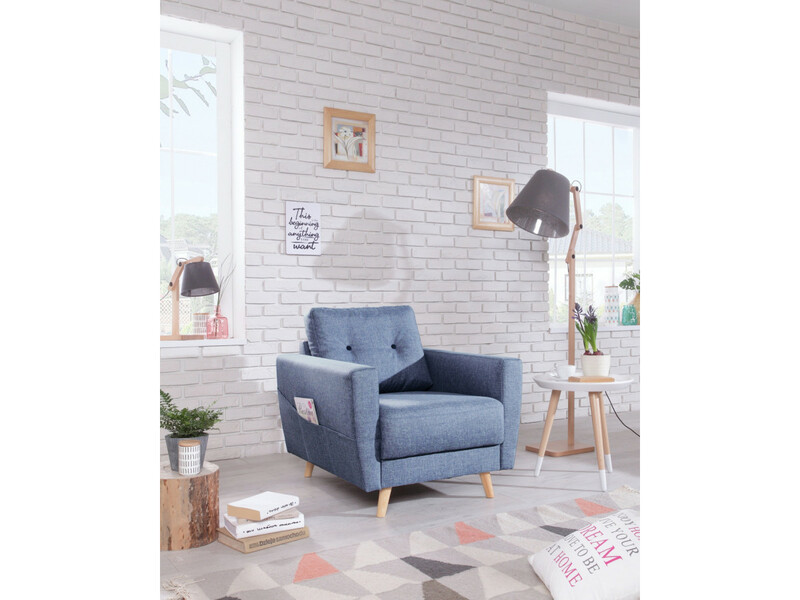 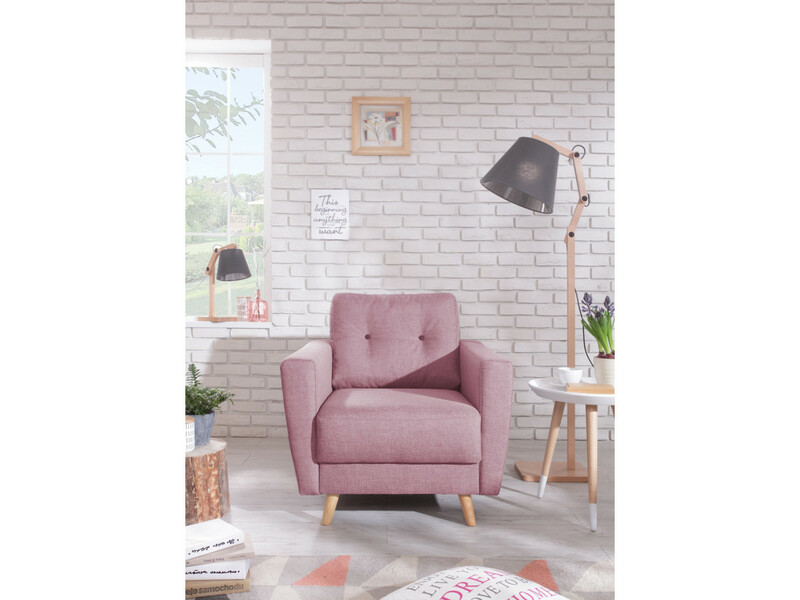 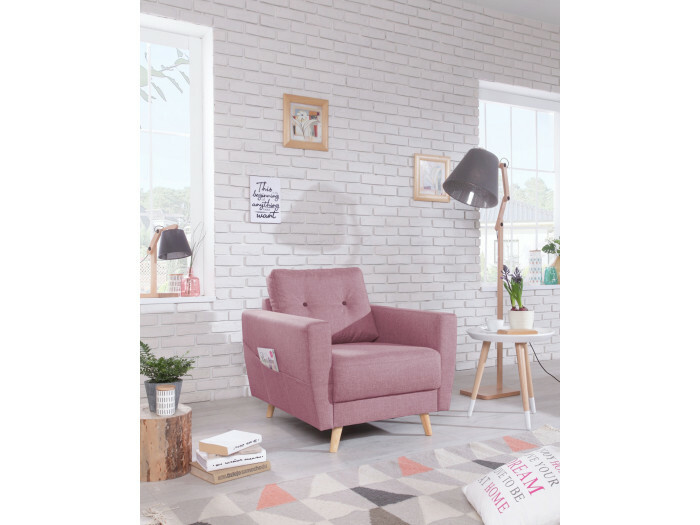 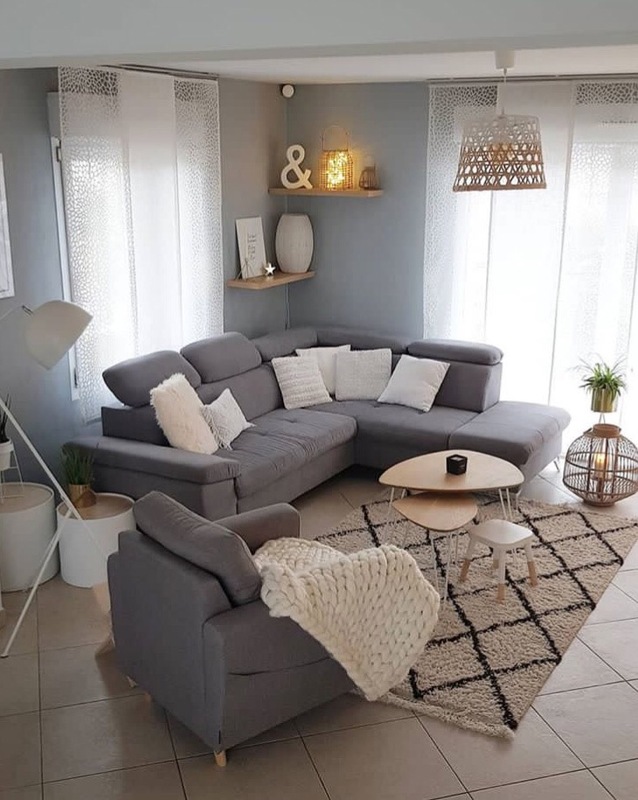 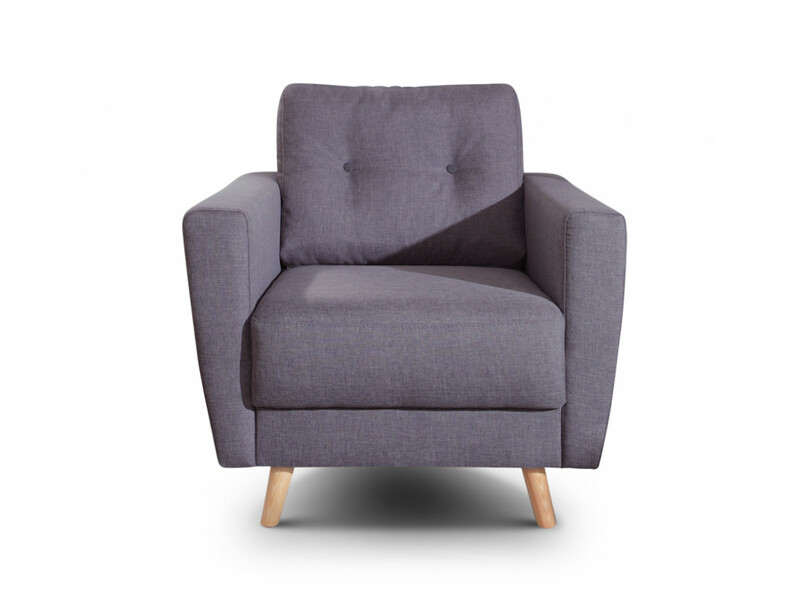 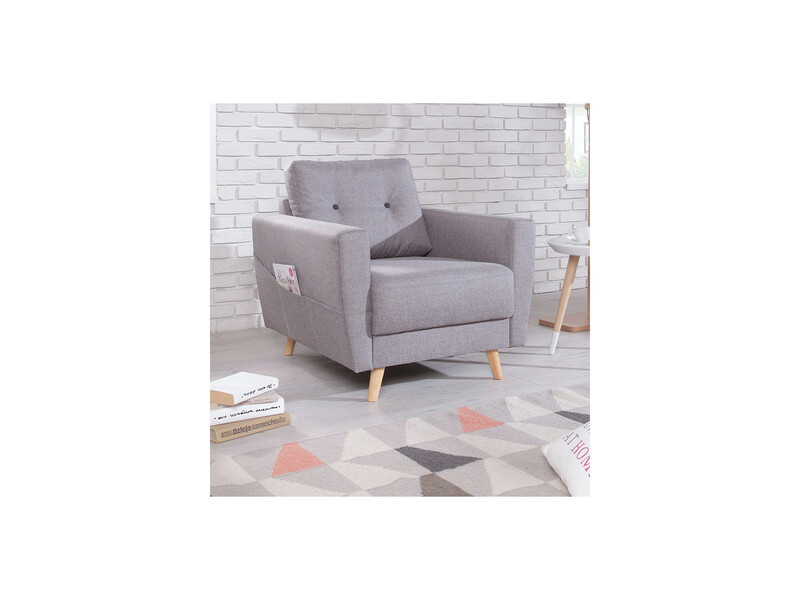 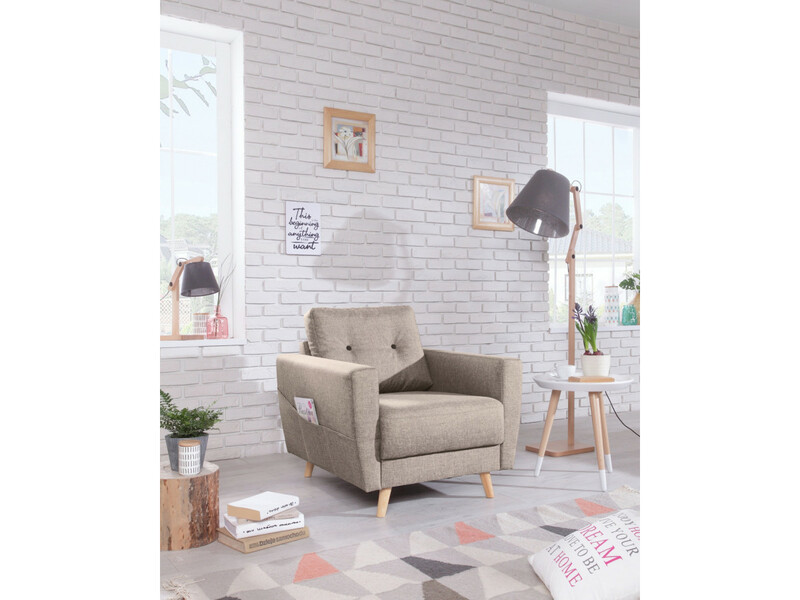 The chair SCANDI-style scandinavian mixed with a retro style makes you the promise to be comfortably installed. 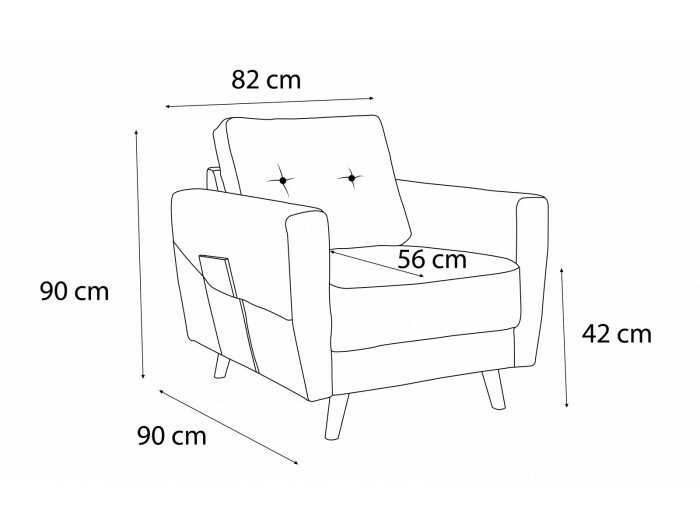 Design, comfortable, but not that, his pocket at the level of the armrest will serve as storage for your magazines and remote controls. 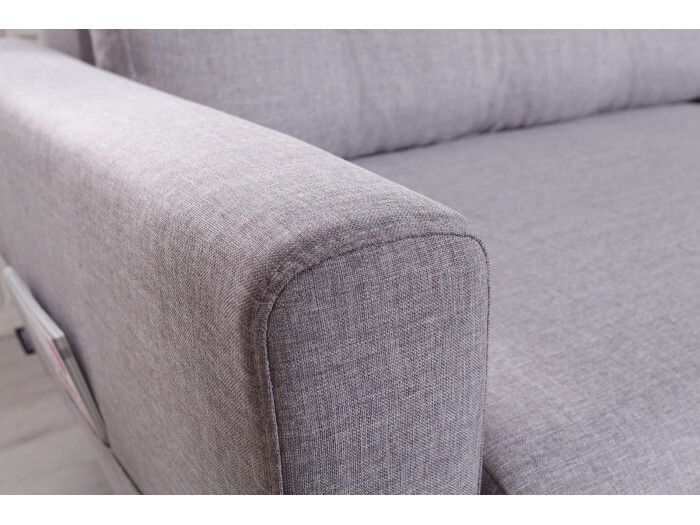 The buttons on the cushions are slightly contrasted to give even more character to the chair. 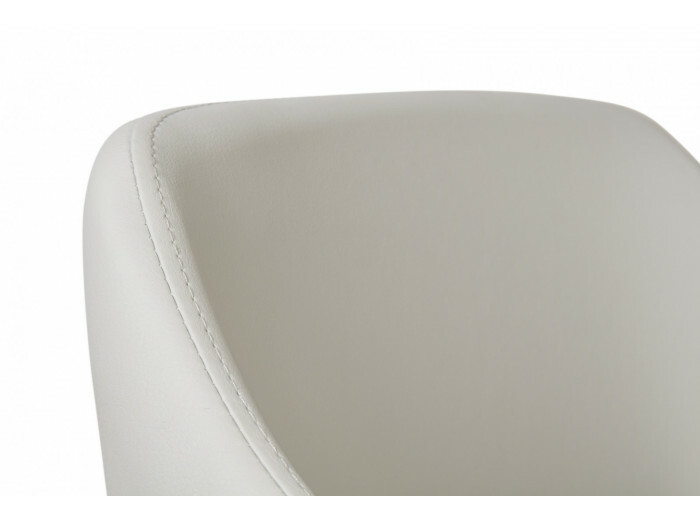 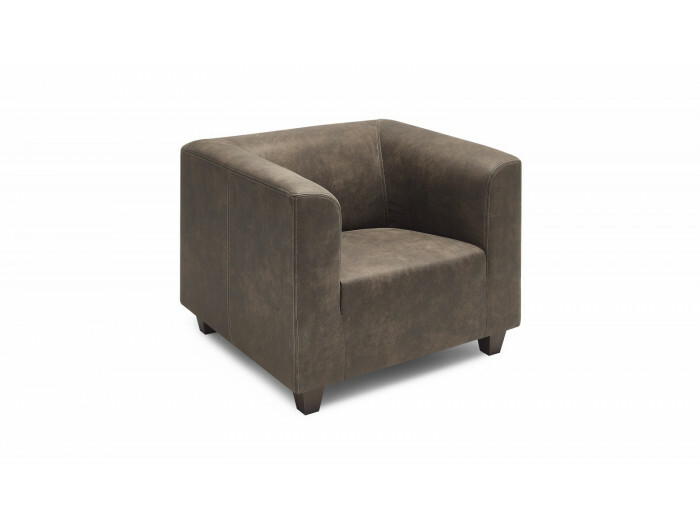 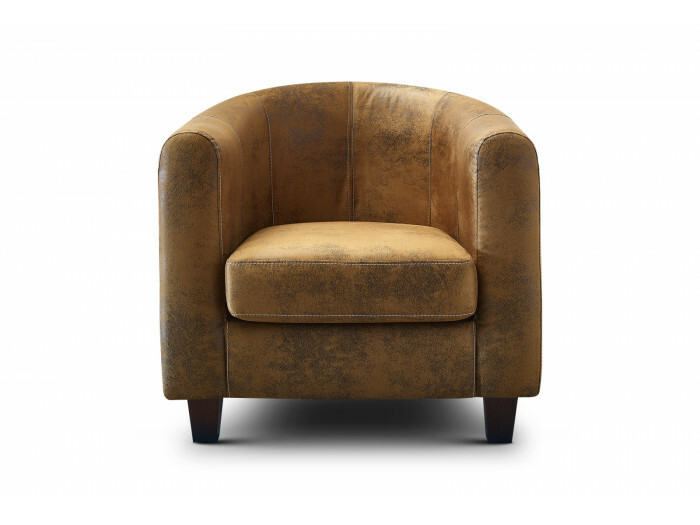 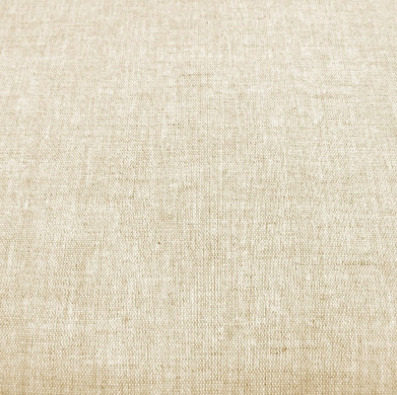 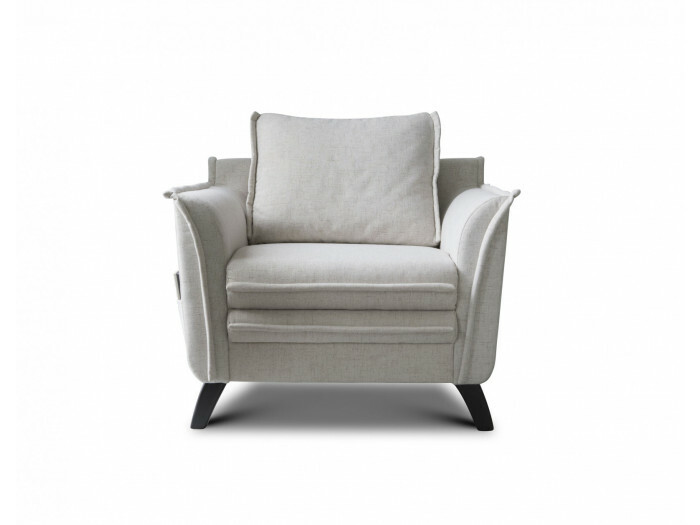 The seams on the armrests, the seat and cushions emphasize the beauty of this chair. 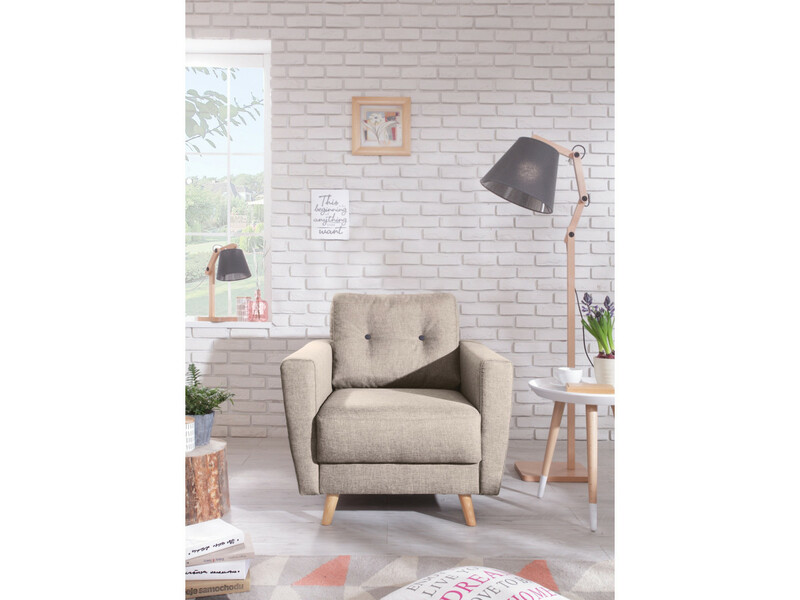 The feet are solid wood in natural colour gives a note ultra deco. 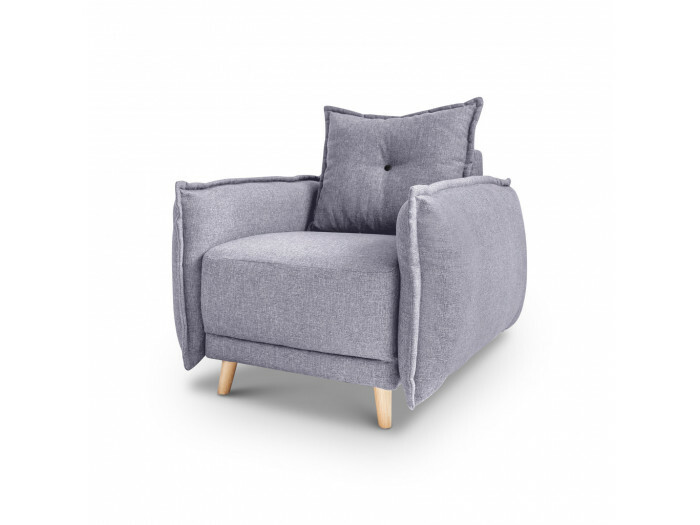 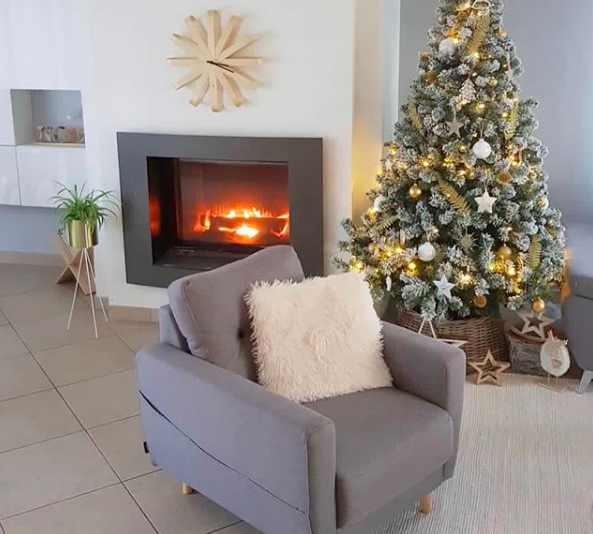 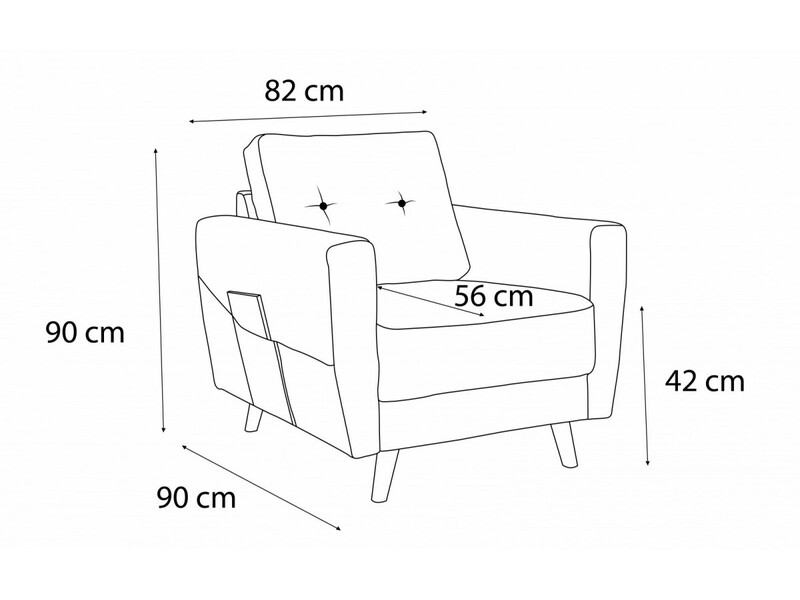 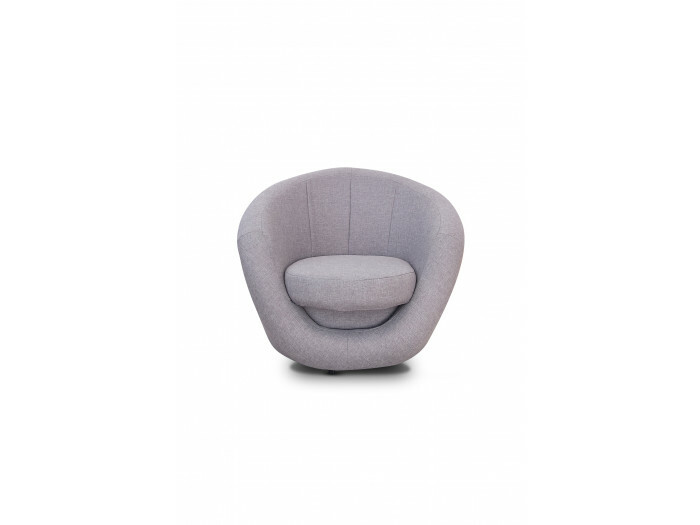 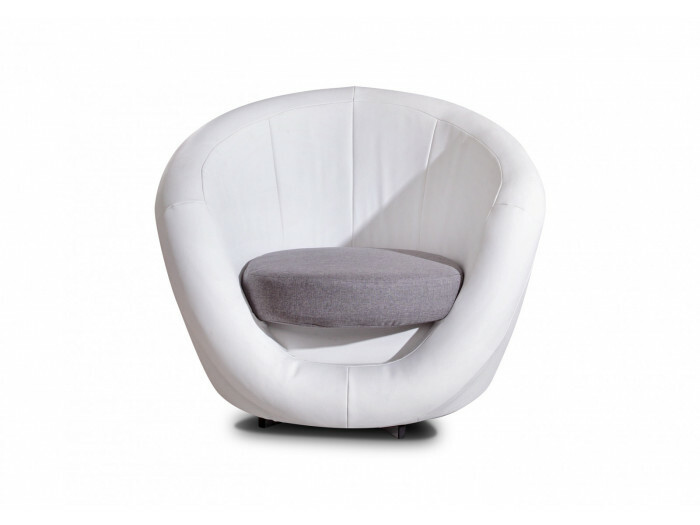 Functionality mixed with design of the armchair SCANDI give a welcoming aspect to your home. 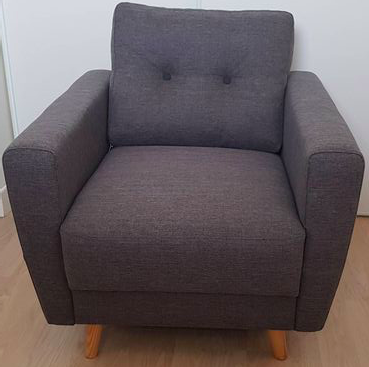 Try it, adopt it. 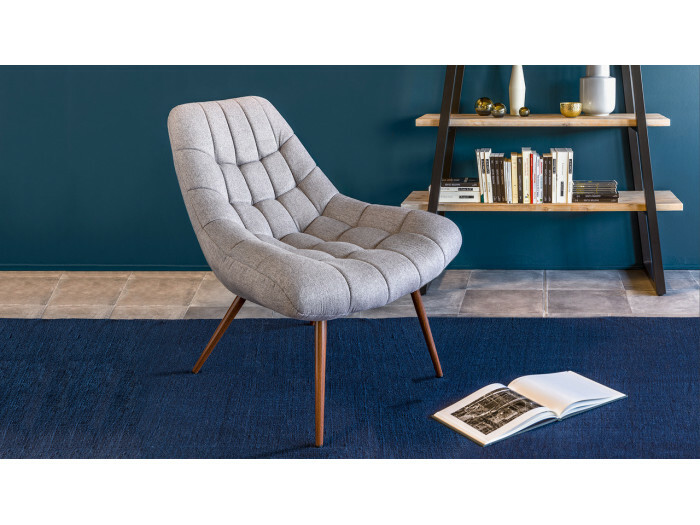 Bonjour, je souhaite acheter ce fauteuil en bleu canard, et l'associer avec le canape Lena en bleu canard également. 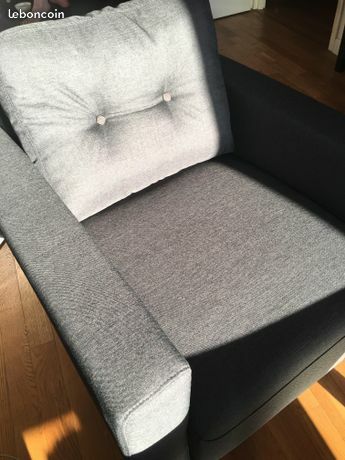 Est ce que le bleu canard est le même et est ce que le tissu est identique pour les 2 produits ?